To protect your employees and customers while reducing your liability risk, you need to be proactive in preventing accidents on your premises. An easy solution to help prevent slip and fall accidents in your building is vinyl and rubber stair treads from Sure-Foot Industries. 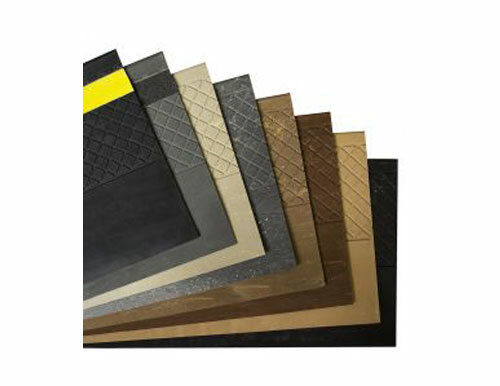 Non-slip rubber and vinyl stair treads provide safe interior stair coverings in any building with pedestrian traffic. Economical and attractive, rubber and vinyl stair treads are a long-wearing resilient safety solution. Stair treads add safety and durability, lessen the impact of foot traffic and offer ease of cleaning on any stairway. Our line of Master Stop™ slip-resistant tiles provides maximum drainage, safe footing, and comfort for your staff and guests. 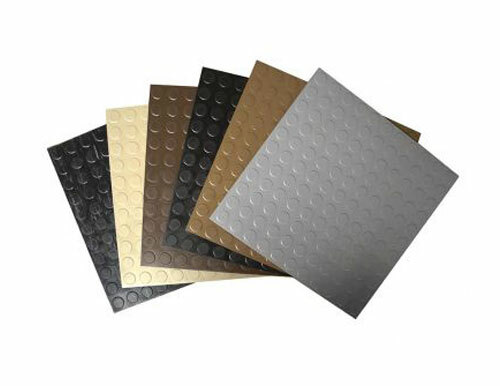 We offer 2 types of anti-slip safety mats, which are both designed with special non-slip and anti-fatigue properties – while also being resistant to industrial chemicals, water exposure, and other potential hazards. Our commercial rubber stair treads come in three different designs: General, Modern and Heavy Duty. 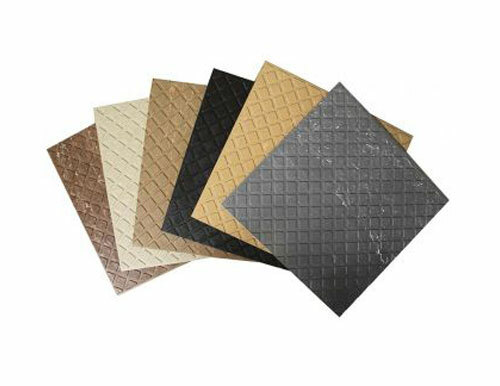 Our industrial safety tiles come in two different designs: Standard Uncoated and Grit Coated. 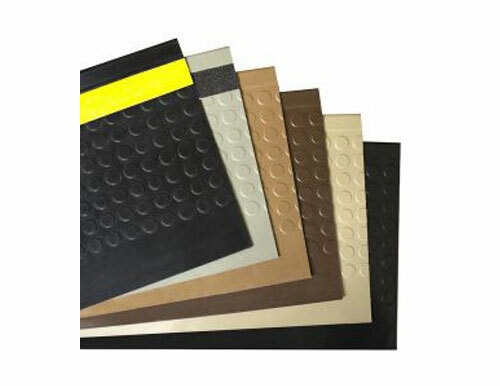 Our rubber treads and tiles are available in a variety of colors to complement your existing decor while providing an increased level of safety to your building. Their non-slip surface offers a perfect safety solution for areas where there is heavy pedestrian traffic in your building or in interior work areas that are prone to common fall hazards. For light to medium safety protection, consider choosing from the General or Modern Tread collections. For added protection or for heavy-duty applications, we suggest selecting from our heavy-duty rubber stair treads. 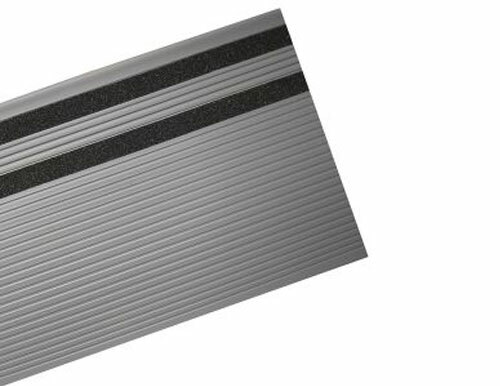 In addition to protecting your employees and customers, all our non-slip vinyl stair treads protect your interior stairs, floors, and walkways from damage and general wear and tear. They are easy to install and clean and require minimal maintenance. Which Non-Slip Stair Tread or Safety Tile is Right for You? 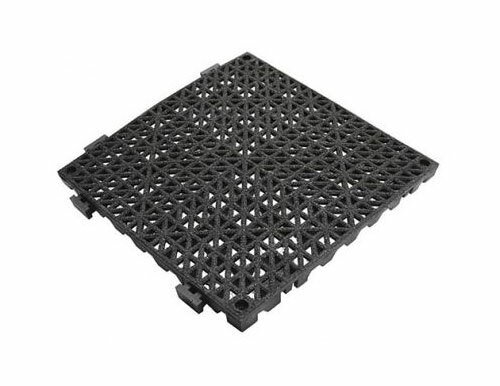 Contact us today to speak with a representative about ordering our commercial rubber stair treads for your workplace!